Create an overview of your rheumatoid arthritis. Day by day. Discover patterns and gain a greater control of your arthritis. community of other people with RA and JIA. RheumaBuddy is an app to achieve “self-empowerment”. In other words, the app helps you to gain greater control of your arthritis. How? By getting a better overview, discovering patterns and then by figuring out what you can do to influence the disease in a more positive direction yourself. Share your findings with your rheumatologist - RheumaBuddy is a perfect tool to document the development in your disease since last visit. On top of that, the app also has a buddy function. In an online community for users of RheumaBuddy you can ask for help, seek advice or maybe offer to help your peers when you have a good day. If you do not feel like sharing with every RheumaBuddy you can connect with chosen “buddies”. Day by day, or when it suits you, you register how you are affected by your RA. Consequently, you will get a better understanding of the different factors that affect your disease. Use the smiley scales to register how you feel. You can choose yourself which symptoms you want to keep track of. You can also use a pain map to pin out where on your body it hurts the most. RheumaBuddy can send you a notification, so you’ll remember to keep diary. You decide what time of the day you would like to be reminded. This way, you do not have to remember keeping diary yourself. Your daily registrations result in a rewarding overview after a longer period. For example, a graph and an overview of your notes will show you the connection between your different symptoms and activities. You can easily show your rheumatologist how you have been since your last visit – and not just how you feel on the day of your check-up. That ensures a better and more targeted treatment. Share tips and advice with other people living with RA/JIA in the community. You can upload pictures to describe your questions and answers and “like” the topics you find most interesting. Did we mention that RheumaBuddy Beta is free to download and use? 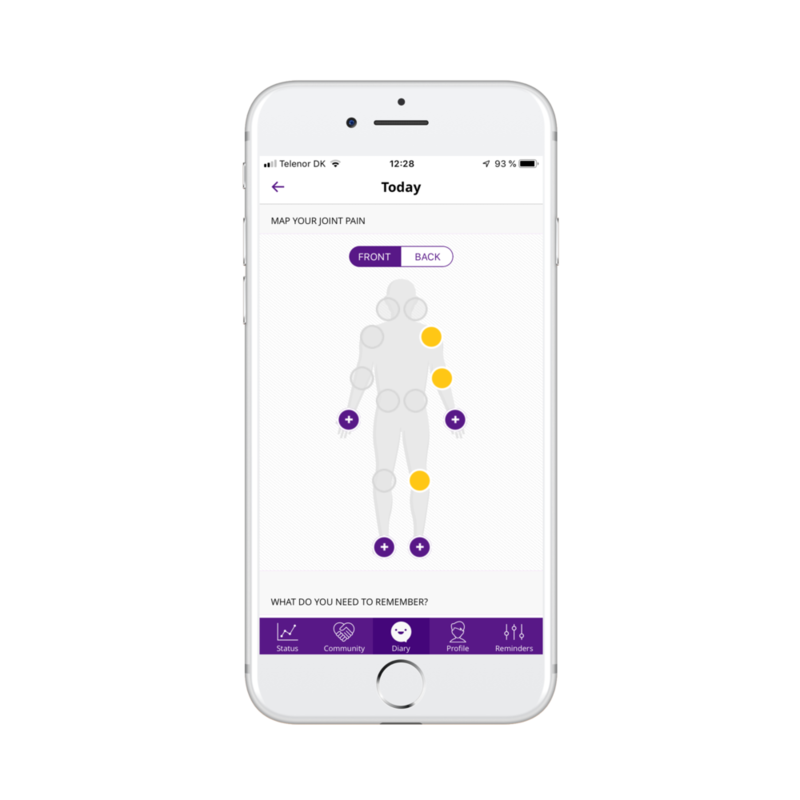 An experienced rheumatologist in Denmark, Berit Schiøttz-Christensen, has played a large part in the development of this app. She too has seen the advantage of a tool for people with RA. 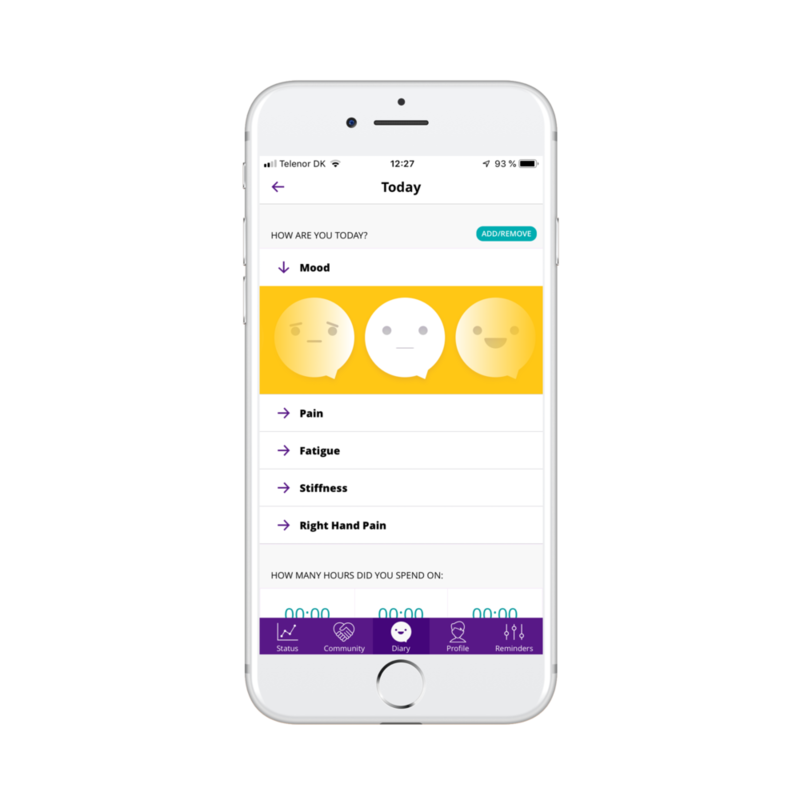 RheumaBuddy is primarily a tool for people with RA to achieve a unique insight into their own condition – and thereby how they can become motivated to break bad habits and adjust their life in a more positive direction. To professionals, RheumaBuddy is also an advantage. The foundation for counselling and treating the individual patient becomes stronger. Often at visits to the specialist, patients have trouble describing in detail how they have been feeling since last time. That does not leave you, the specialist, with a true and fair view of their general condition. In contrast, when your patient uses this app you will get a holistic insight instead of a snapshot. You receive more information and a better understanding of how your patient has really been. That provides you with the opportunity to target your treatment of your patient. We are continuing the development of RheumaBuddy. We can reveal that the development includes a service for professionals and health care professionals within rheumatology; a service that will make it even easier to get insights on how the RA is affecting the individual patient. Sign up for our newsletter to make sure that you receive the latest information, and hopefully news about RheumaBuddy being available in your country. "All people with rheumatoid arthritis are now getting the tool we have longed for - a digital tool that can register the variations in the RA between visits at the rheumatologist. It is very important for people with RA to have an overview and take control of the symptoms, and in combination with the buddy-feature, the app has a huge potential of becoming enormous beneficial not only for the individual patient but also contributing to a much better program of treatment. We are very proud of this project." "People suffering from rheumatoid arthritis are in need of a contemporary tool that helps them put themselves at the center and to take responsibility for their own lives. RheumaBuddy is extremely relevant for these people and very illustrative also when it comes to describing the daily variations in their lives with RA. This app can give them a better insight regarding the variations of the symptoms and the treatment." "Despite living with a chronical disease, most people find clever ways to handle their own disease. 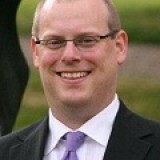 With the app they get a tool that utilizes smartphone and social technologies. They get a virtual buddy that empowers them in coping with rheumatoid arthritis and the buddy network fosters knowledge sharing and crowd caring. We see a great possibility for the app to improve quality of life because of changed lifestyle and an opportunity to target the treatment." Raising the quality of life for people living with RA, and providing them with a digital tool to gain control of the disease are the reasons why we have developed RheumaBuddy. Who are the people behind the app? In order to realize this great self-tracking program Daman, who operates and has developed the app, has worked closely together with the Danish Association of Young People with RA (FNUG) and rheumatologist and professor Berit Schiøttz-Christensen. In the UK, Daman has partnered with The National Rheumatoid Arthritis Society. The National Rheumatoid Arthritis Society (NRAS) is the only patient-led organisation focusing specifically on Rheumatoid Arthritis (RA) and Juvenile Idiopathic Arthritis (JIA) in the UK. It has become established as the voice in the UK for people with RA and JIA - providing a total network of support, information and advocacy for those affected, their carers and families. NRAS was founded in 2001 by Ailsa Bosworth - with the support of rheumatologists and fellow RA sufferers - after a long battle through her own diagnosis of RA. Daman is a digital agency specialized within healthcare. Our mission is to improve health by digital innovation. We are passionate about technology and digital media, and deliver services that raise the quality of life of patients and enables healthcare professionals to achieve better outcomes. The strength of our company lies in the in-depth knowledge of the healthcare industry and the skills and expertise of our people. Do you have a suggestion/idea, feedback or anything else you want to raise to our attention? Alternatively, would you be interested in letting other young people with RA benefit from using RheumaBuddy? Please send us an email and we will do our best to contact you as soon as possible. Please send us an email and we will do our best to contact you as soon as possible.